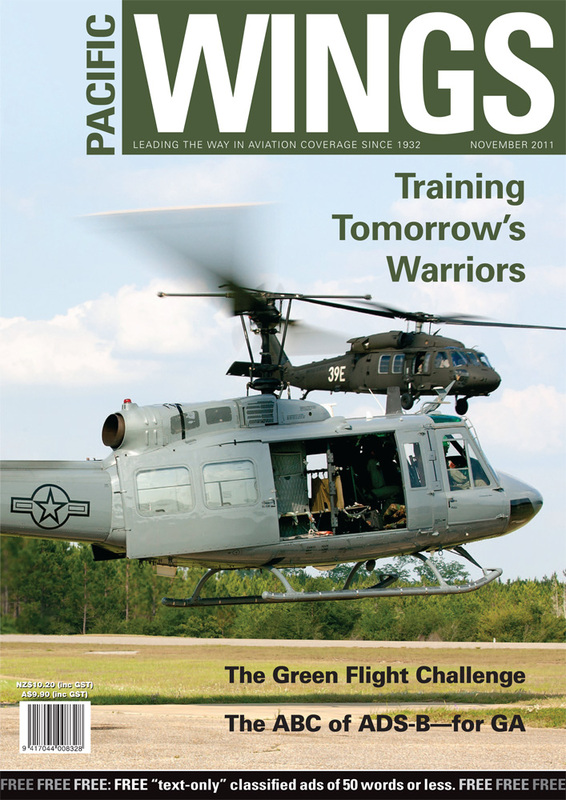 Earlier this year, Wellington-based Erik Roelofs spent time with the 23rd FTS at Fort Rucker, Alabama, where the USAF’s new helicopter pilots learn their craft. Richard Greaney gives an overview of the next generation of airborne surveillance, and explains why it is important for GA to embrace it. Glen Kenny, the president of NZALPA, summarises a recent Court of Appeal decision that rejected the CAA’s practice of randomly trawling the criminal records of industry participants. The recent Green Flight Challenge sponsored by Google rewarded novel solutions to the “limitations” of alternative energy in aircraft. Mike Friend—a highly qualified specialist in the field—reports on this important and valuable competition. The New Zealand Air Line Pilots’ Association (NZALPA) lodged a submission with the Ministry of Education in late July regarding the government’s plans to introduce cost-cutting measures to the tertiary education sector, detailed in the Education (2012 Annual Maximum Fee Movement) Notice 2011 New Zealand Gazette on 30 June 2011 (No. 90). The Ministry of Education is now considering proposals.